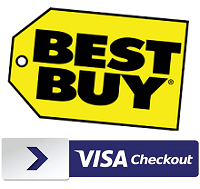 Valid online at staples.com®, our mobile site and Staples iPhone app when you pay with Visa Checkout only. Not valid in store. Limit one discount per customer, nontransferable. 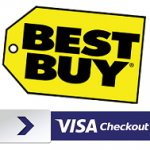 Discount is automatically applied to qualifying order when you select Visa Checkout and order is placed. Minimum purchase requirement of $100. Tax and shipping not included in calculating the minimum purchase. Not valid on SKUs 513096 or 1149611, ROKU®, Google products, any Bose®, Canon® ink, Epson® EcoTank™ printers, Epson® ink and toner, HP ink and toner, JBL®, Staples Industrial(sm) purchases, Wacom®, custom printing orders placed online, services, promotional products, gift cards, prior purchases or any purchases on other provider websites. Expires 7/23/16 or when promotional redemption limit has been reached. For details on the Staples offer, see www.staples.com/visacheckout. $10 discount will be automatically applied to qualifying Walgreens.com purchase of $50 or more if using Visa Checkout and will display in the Order Review page. Purchase threshold must be met before taxes and shipping charges and after all other discounts. Offer valid for one use per order and one use per user over the promotional period. Offer does not apply to the following ineligible items: Walgreens Ready Response, Dailies Total 1 30/90pk, Dailies AquaComfort Plus Toric or Multifocal, Air Optix Colors, Bausch & Lomb ULTRA, pharmacy, photo, or gift cards. Ineligible items in the cart will void the offer for the entire order. Offer can be combined with item-specific promotional codes, but cannot be combined with promotional codes that apply to the whole order. Cannot redeem Balance Rewards points on orders if using Visa Checkout. Offer expiration is determined by Walgreens server clock. This offer does not apply to bulk orders, back ordered items, and out of stock items. Not redeemable for cash or transferable, and void where prohibited. Walgreens reserves the right to make changes to or terminate this offer at any time. For details on the Walgreens offer, see walgreens.com/visacheckout.